The American Association of Port Authorities (AAPA), on behalf of its United States member seaports, expresses both encouragement and disappointment over the funding levels and programmatic changes in federal port-related programs proposed in the President’s FY 2015 budget. While the President’s budget proposal included funding for a new National Infrastructure Investment program, it also decreases funding for the Corps of Engineers’ modernization and maintenance programs for seaports and eliminates the Environmental Protection Agency’s (EPA) Diesel Emissions Reduction Act grant program. It also continues to call for the elimination of the Port Security Grant Program, replacing it and other state and local programs with a National Preparedness Grant Program to be managed by the states. On the bright side of President Obama’s fiscal 2015 budget, AAPA says it is encouraged over the Administration’s plan to significantly increase funding for transportation infrastructure within the Department of Transportation. The President proposed the creation of a $1.25 billion trust fund for multimodal transportation infrastructure, which would increase and sustain funding of the Transportation Investment Generating Economic Recovery (TIGER) grants program and establish a new freight grant program aimed at enhancing the competitiveness of the United States in the global marketplace. The proposed new multimodal account for rail, highway and port projects would seek to address the greatest needs for the efficient movement of goods across the country and abroad. 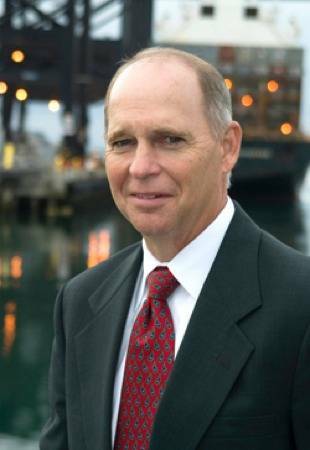 “AAPA believes these grants would have strong and positive effects on freight system improvement, although we don’t know yet how much is specifically proposed for improving landside connections with America’s ports and their landside connections” said Kurt Nagle, AAPA’s president and CEO. He added that AAPA has strongly advocated for continuing TIGER program funding and dedicating at least 25 percent of the grants to port-related infrastructure. AAPA says it is also pleased to learn that the National Oceanic and Atmospheric Administration’s (NOAA) budget provides modest increases over the FY 2014 enacted levels for core navigation and related services. The budget also provides an increased focus on helping coastal and port communities address challenges associated with long-term resiliency and reducing vulnerability to extreme weather events. Exact funding levels will not be released until next week. Other areas of the President’s budget request were less encouraging. At $4.56 billion, the Corps of Engineers' (Corps) Civil Works funding decreases 5.8 percent from the FY 2014 President’s budget of $4.83 billion. The Corps’ Navigation Program declined to a lesser extent than the overall Corps funding and now is 40 percent of the Corps Civil Works program, the highest percent it has been in the last six years. The Corps budget proposal would be nearly a nine percent decrease in the operations and maintenance budget, which currently stands at $1 billion. While the proposal is a 2.8 percent increase from last year’s President’s budget – from $890 million in FY 2014 to $915 million in the FY 2015 request – it falls woefully short of the Harbor Maintenance Tax (HMT) collections which fund this program, as well as the needs of the seaports. HMT revenues grew 8.2 percent from $1.65 billion in FY 2012 to an estimated $1.79 billion in FY 2013. The President’s budget proposes using only 51 percent of the yearly collections. The remainder will add to the Harbor Maintenance Trust Fund balance, which currently stands at $8.1 billion. The President’s proposal also fails to follow the Sense of Congress included in the MAP-21 surface transportation legislation passed by Congress in 2012. MAP-21 recommends the Administration request full use of the Harbor Maintenance Trust Fund (HMTF) for operating and maintaining U.S. navigation channels. Funding for improving federal channels would take another significant hit under the President’s budget. The budget request contains a 10 percent decrease in FY 2015 from FY 2014 for channel improvements. The FY 2014 funding was a 28 percent decrease from FY 2013. The enthusiasm generated from the President’s and Vice-President’s port tours and discussions in 2013 and inclusion of the need to upgrade our ports in the January State of the Union address has been dampened by the budget request. With regard to seaport security, the Administration’s proposal for the Federal Emergency Management Agency’s (FEMA) National Preparedness Grant Program is set at $1.04 billion, which would serve as a consolidation of all state and local preparedness grants, including the Port Security Grant Program. This proposal, similar to previous budget requests, would move management of the consolidated grant program to the states. This proposal has been blocked by Congress in previous years. AAPA remains opposed to moving these grants to the state level, advocating for the existing separate program that is managed at the federal level as seaports are international borders for trade and should not be lumped with state and local programs. In the environmental arena, funding for the Diesel Emissions Reduction Act (DERA), which has been highly successful in helping ports reduce emissions from older diesel engines, was eliminated by the Administration in order to fund other priorities of the EPA. Mr. Nagle stated that AAPA will continue to press Congress for continued funding for DERA. “As the Administration and Congress grapple with the multiple goals of reducing the nation’s debt while growing jobs and the economy, federal investments in ports and their connecting infrastructure continue to be an essential, effective utilization of limited resources, paying dividends through increased trade, jobs and over $20 billion a year in tax revenues,” said Mr. Nagle.